Applies to model numbers WBVH6240, WCVH6260, WHDVH626. Note: Attempting to exit the service mode by disconnecting the power will result in a locked washer! 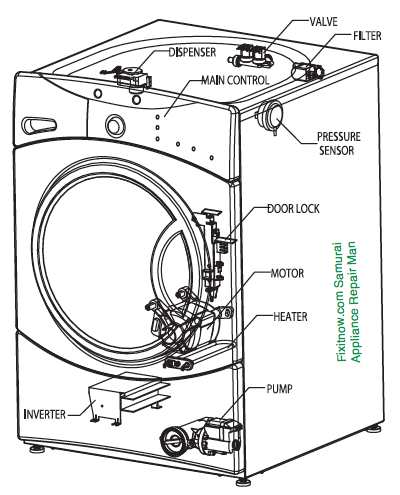 To learn more about your washing machine, or to order parts, click here. 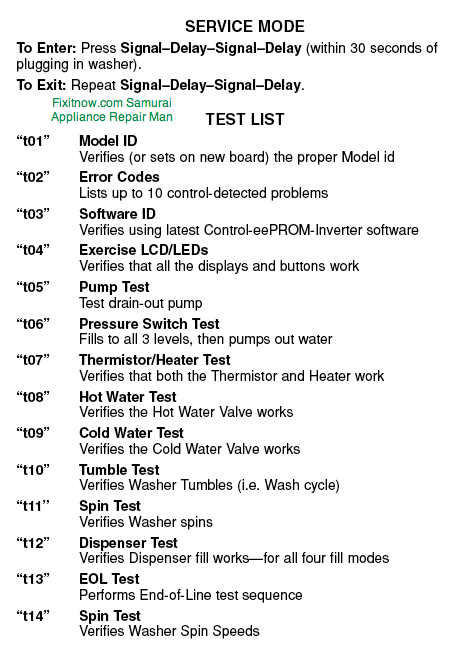 This entry was posted in Washer Repair on December 26, 2009 by Samurai Appliance Repair Man.